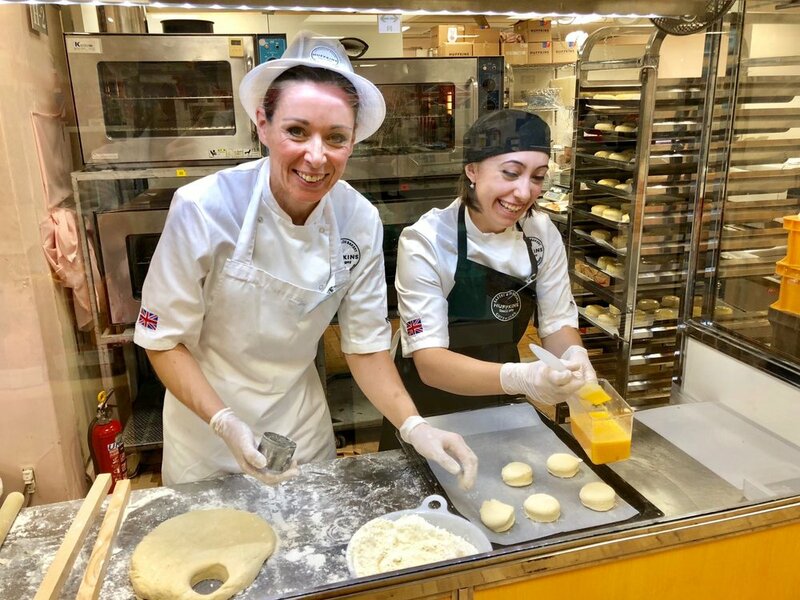 In September 2018 we sent a crack team of bakers (Lorna & Elizabeth) from our Witney bakery and Stratford-upon-Avon tearooms all the way to Tokyo! Why? Well to run a pop-up Huffkins tearoom for a week of course! Over 12,000 scones were made by hand and sold during the event alongside selections of our loose leaf teas, preserves, fruitcakes and shortbreads. 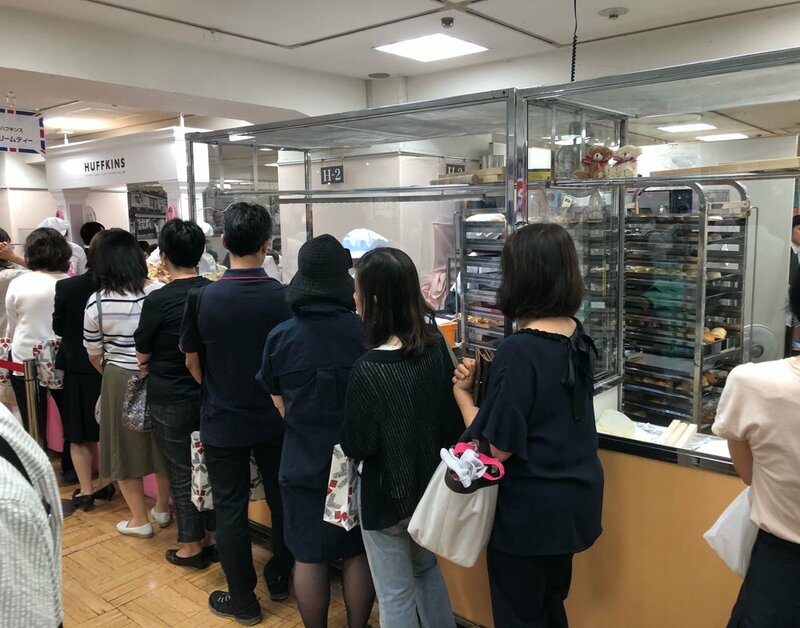 A fully working miniaturised Huffkins was set up for the week inside the world-famous Mitukoshi Nihombashi department store in central Tokyo. Japan loves coffee. Japan is known for a deep-rooted tea culture but the Japanese are even more into coffee! In fact Japan is responsible for consuming over 85% of Jamaica's coffee crop each year. Table manners maketh the man & woman. Pointing with your chopsticks is rude and you should also avoid crossing them which is easier said than done for an untrained Westerner! When eating & drinking it is not rude to slurp, in fact it is considered a compliment, however blowing your nose in public is frowned upon. Age before beauty. About 23% of the population in Japan are over 65. In Japanese culture older people are revered and honoured. When dining the oldest guest is normally seated first at the centre of the table. They will also be served before anybody else. Huffkins retail products were made available for sale for the duration of the week. All these social rules might sound a bit daunting but our team also reported that Japanese people are very friendly and understanding. As long as you are respectful you will be made very welcome in spite of any social faux pas. 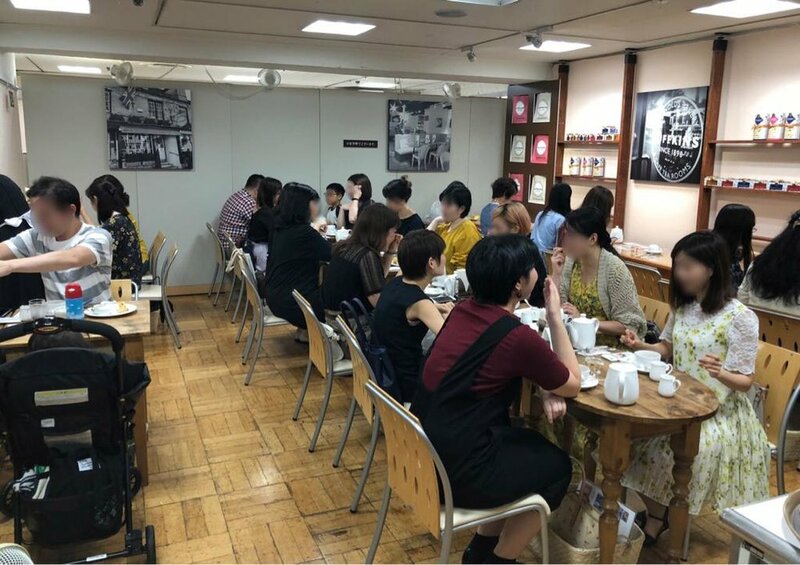 Huffkins products are available in Japan with leading retailers including Charmant Gourmand (online and in their forthcoming Tokyo store), Isetan (Kyoto), Nihonbashi Mitsukoshi (the British exhibition) and with Takashimaya (online).